Wilmington Police have filed charges against a Wilmington woman, Delee Wampler, 52, of Michigan Avenue, for Involuntary Manslaughter, a first-degree felony. According to WPD Chief Duane Weyand, Wampler was indicted in March for Trafficking in Drugs and was out on bond when she sold heroin to a local resident, which led to the death of that person. Wampler is currently at-large; anyone with information on her whereabouts is encouraged to call Wilmington Police at 937-382-3833. 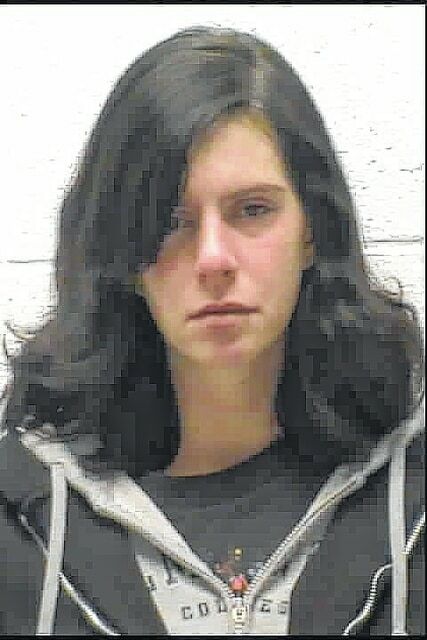 A Clinton County grand jury returned an indictment June 8 against Jennifer Hall, 23, with an at-large address. She was charged with Trafficking in Drugs, a fourth-degree felony, as she was selling heroin, Weyand said. Wilmington Police report they took regular calls on Hall as she was found in several locations begging for money. “Wilmington Police continue to encourage those that want to give money to donate to organizations where money can better be used to help many,” Weyand said. Hall is currently in the Clinton County Jail. If you see drug activity, Weyand encourages residents to call the Wilmington Police Department at 937-382-3833.